Hilton Hotel's clean up crew. Working together to clean up the city, three Sandton Central organisations took 90 bin bags of litter – equalling around 600kg of rubbish — off the streets in one day. This impressive result was achieved as part of the first City of Johannesburg’s A Re Sebetseng monthly clean-up campaign, which took place on the last Saturday of September. 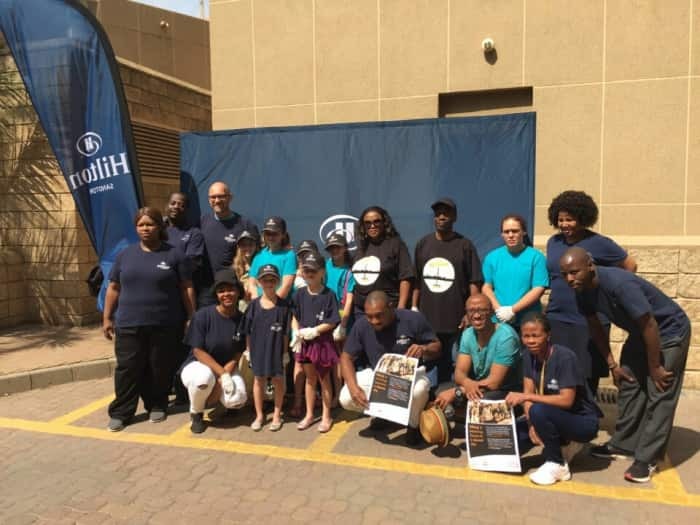 Flying the flag for hospitality in Sandton Central, The Radisson Blu Gautrain Hotel team cleaned up over 40 bags worth of rubbish and the Hilton Hotel picked up another 10. The Sandton Central Management District team also got stuck in, clearing up nearly 40 bags full of litter. And, Sandton Central hopes to see even bigger positive impacts and involvement in this campaign in the months ahead. The monthly volunteer campaign initiated by Executive Mayor of the City of Johannesburg, Councillor Herman Mashaba, is largely focused on cleaning the city, but also going beyond this. It will take place on the last Saturday of every month. 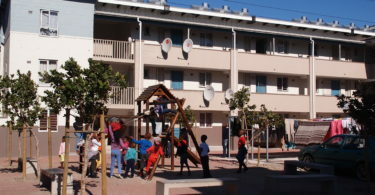 It extends the ethos of working together to shape a city and community, which is already firmly entrenched in the Sandton Central Management District (SCMD). SCMD manages the public urban spaces of South Africa’s cosmopolitan financial hub and is home to three business improvement districts funded by commercial property owners. “Because Sandton Central’s business community works hand-in-hand to ensure that it is safe, clean and well-managed environment, people are able to enjoy a positive experience of Sandton Central,” says Elaine Jack, SCMD City Improvement District Manager. She says the cleanup results from the first A Re Sebetseng day is a great effort from the node and praised The Radisson Blue Gautrain Hotel and Hilton Hotel for being good corporate citizens of Sandton Central. She also believes that the volunteer campaign has the potential to go a long way in supporting Sandton Central’s team of 56 public safety ambassadors, five patrol cars and 27 cleaning staff. This team is focused solely on crime prevention, cleaning, maintenance and landscaping 24-hours a day, seven days a week. The City of Johannesburg’s next A Re Sebetseng monthly clean-up day is on 28 October 2017, and everyone – residents, businesses, charities and other organisations – can get involved. Simply visit sandtoncentral.com, click on the link for ‘council information’ and scroll down to the ‘downloads’ section where you will find the A Re Sebetseng registration and commitment forms. Complete the forms and return them to Elaine Jack at Elaine.Jack@cwexcellerate.com. 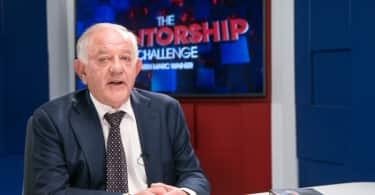 Jack encourages all Sandton Central stakeholders to find the most meaningful ways, big or small, that they can become involved in the volunteer campaign. “When it comes to the tremendous advantages created by working together, Sandton Central is a case in point. We are committed to offering an exceptional experience of this key node of Johannesburg for employees, visitors, tourists, shoppers, property owners and residents of Sandton Central. The more we work together, the bigger the positive impacts we have,” says Jack.